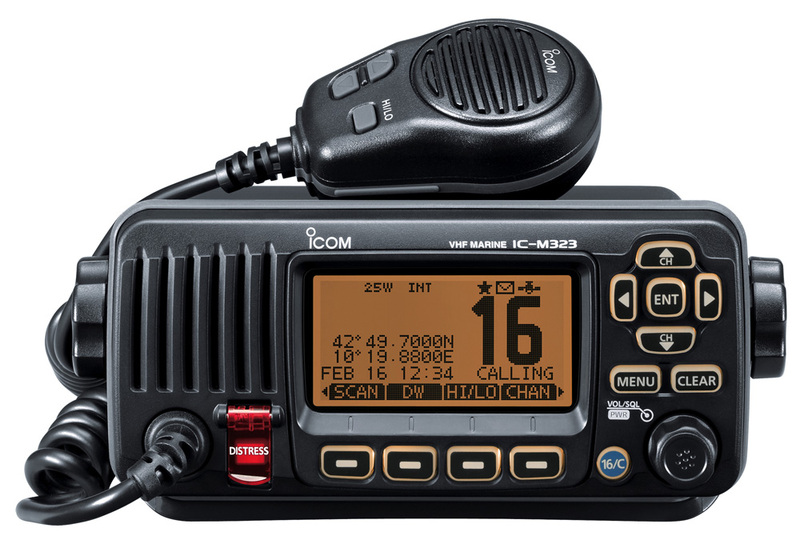 Icom’s IC-M323 VHF/DSC has the same common user interface that has been adopted on the latest Icom radios including intuitive “soft-keys” permitting faster access to radio functions. 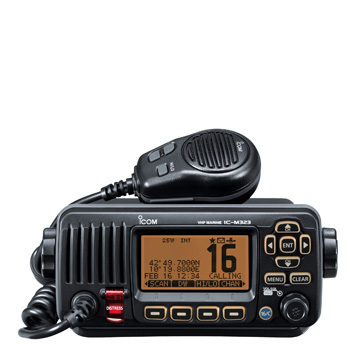 As a result of simplifying the technical features offered, Icom has managed to produce a set that offers really good value! The new marine family user interface provides simple operation for the boat owner. A rotary selector, directional keypad provides intuitive operation. The large, high definition dot matrix display (38×73mm) allows all information to be clearly viewed. The IC-M323 meets the latest Class D regulation (ITU-R M493-13 and EN 300 338-3). The built-in DSC watch function monitors Ch. 70 (DSC channel) activity, even while you are receiving another channel. DSC functions include: distress, individual, group, all ships, urgency, safety, position request/report*, polling request* and DSC test calls. When connected to an external GPS receiver, current position and time are shown on the IC-M323's display. When receiving position information from another vessel, the IC-M323 can transfer it to a navigational device via NMEA 0183 connectivity. When connected to an optional MA-500TR Class B AIS transponder, the AIS target call function allows you to set up an individual DSC call from the MA-500TR without having to manually input an MMSI number. When connected to the MarineCommander, the received DSC message pops up on the multi-function display. The IC-M323 withstands submersion in up to 1.0m depth of water for 30 minutes. This function allows for quicker channel selection. Set the “Tag” channel to the channels used most often. When pushing the up/down buttons on the hand microphone, only the tagged channels are selected, while untagged channels are skipped. • Black and super white versions available.